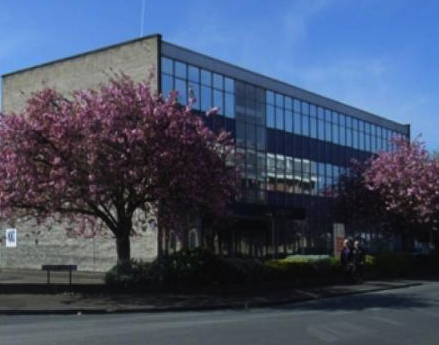 Goodbye 85 King Street and Hello Clyde House – MyWorkSpot Maidenhead 2.0 is here! 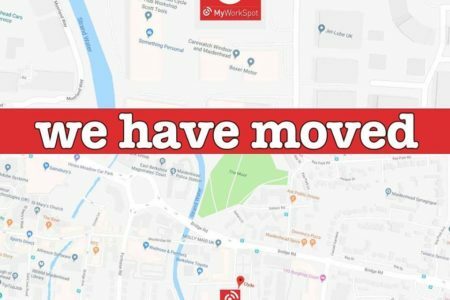 It has been a busy few months at MyWorkSpot as we finalised our deal to move from 85 King Street to our new location at Clyde House, Reform Road, Maidenhead… and the good news is that we are finally here! 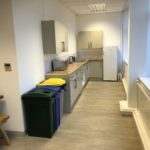 So why did we choose Clyde House? Quite easy, 1. the location 2. the size and potential of the building to create something even bigger and better than at King Street, 3. the ability to give our customers an inspiring location to work from, but offering flexibility and an attainable price point that is not achievable from the other options available locally. Basis of all real estate decisions?! 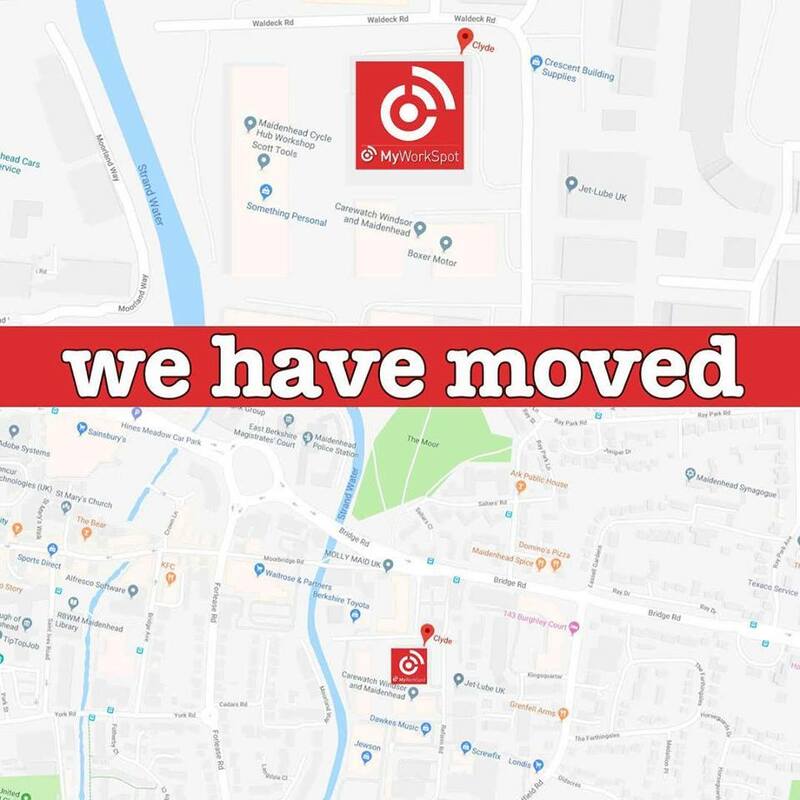 We are very happy with the new location, just off the A4, a couple of minutes walk from Waitrose and Maidenhead town centre and just a 15 minute walk from the train station. We felt given all the redevelopment planned for the next few years in Maidenhead, then this was the right side of town to be! 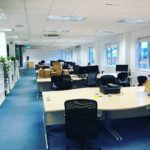 We now have over 15,000 sq ft of space to play with, and we have a fantastic opportunity to build something really great for our existing business residents, while having plenty of room to welcome more businesses and grow the MyWorkSpot-based business community in Maidenhead even further! 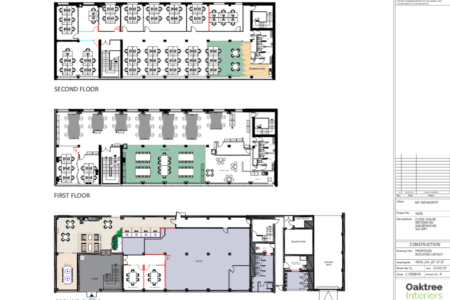 There is a big fit-out job ongoing with OakTree Interiors to make our new office fantastic. Floor 1 which encompasses private offices, fixed desks for everyday businesses, a large hotdesking area for our hot desk members and a collaborative kitchen and break-out area is now complete. Next we are in the process of finishing the second floor, which has another 8 private offices ranging in size from 2-desks up to 10 desks and another open-plan work area and shared kitchen. 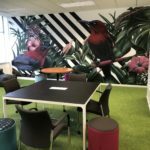 Finally on the ground floor, we have some creatively themed meeting rooms for our internal members, but also external companies who are looking for spare meeting or offsite space. 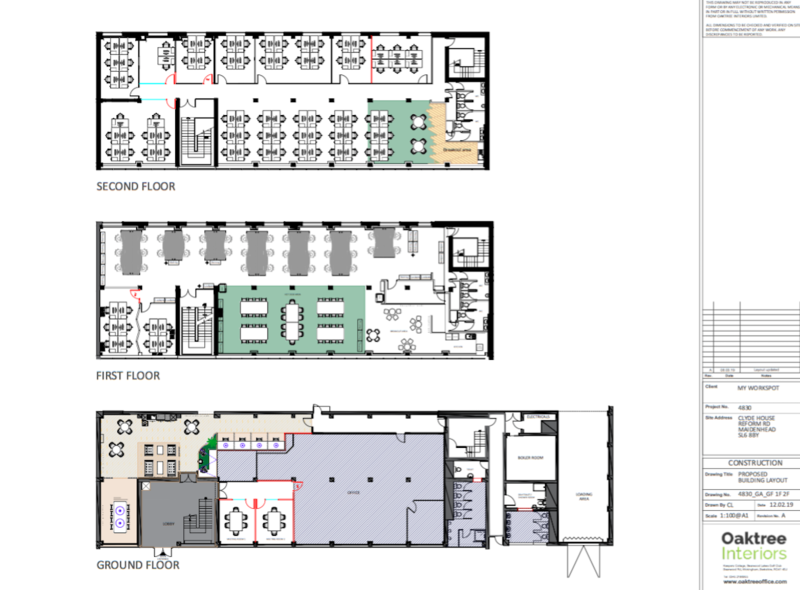 We have more office space to be developed, but most exciting will be the large collaborative breakout area, complete with coffee points and a range of facilities that we feel will bring all our business residents together. We will also seek to make this space available for external events and activities. We like to think we offer fair value pricing that not only offers customers the flexibility and the facilities in their office space that entrepreneurs or small/growing businesses would find difficult to get by themselves, but we also spend a lot of time providing a lot of value-add social and speaker events, such as our popular “lunch and learns” which brings Maidenhead’s business community together. The great news with Clyde House is that we have been able to keep our offerings and price points at a level that we feel is attainable for most businesses in Maidenhead. 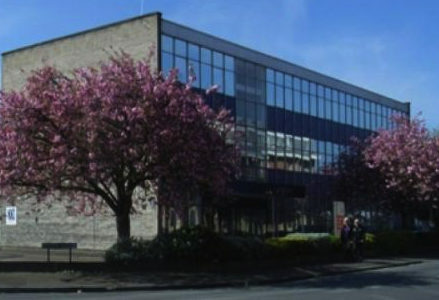 We did look around a number of “Grade A” office buildings in our hunt for new space, but in all honesty the numbers required to make this work would have been difficult for us as a young business ourselves and potentially a barrier for our customers who want to spend a higher proportion of their budgets growing their businesses . We think we have hit the sweet spot with Clyde House! Finally a big thank you to everyone who helped get us moved! This includes Cllr’s Dudley and Cllr Saunders and the RBWM Property team, who helped get everything in place at Clyde House pretty quickly in the end. 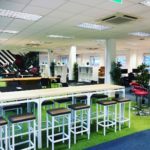 If you own or run a business and want to find a new office space for you and your team, or maybe you work from home, or commute and want to find somewhere to work from on a part-time flexible basis.